Sharing knowledge and ideas is the key to learning. You can’t learn on your own. You’re learning ideas from other people. Ideas in books, ideas from television, ideas from friends and family, ideas from your teachers and from your fellow students. You interact with those ideas and create your own. 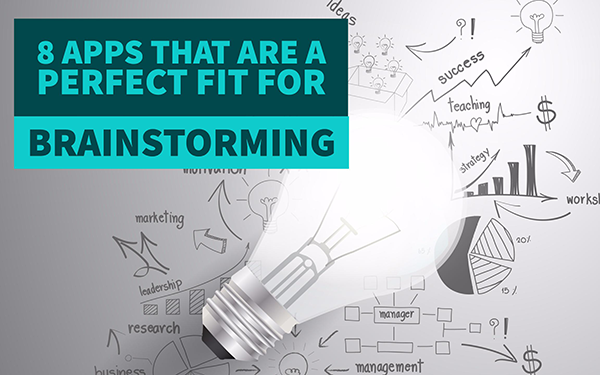 Because sharing ideas is so important, we need some brainstorming tools to support that. 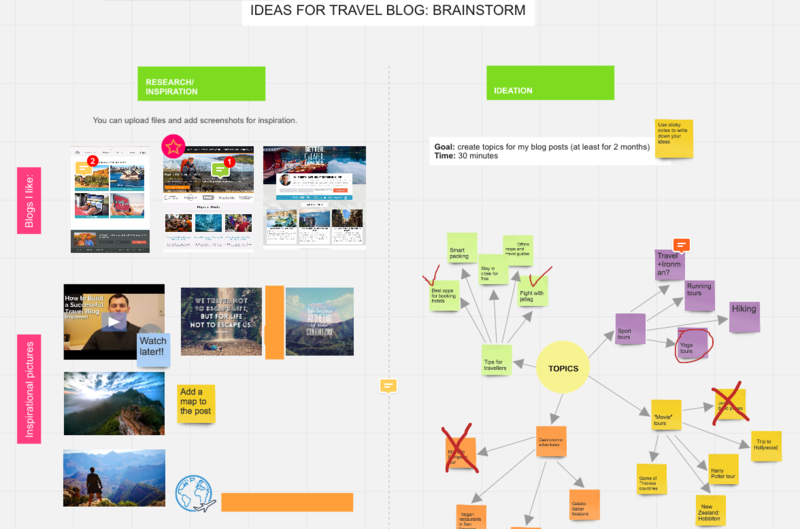 In this post I’ll go over a list of some amazing brainstorm tools. Capturing and sharing a student’s creative mind has never been easier. iBrainstorm lets them brainstorm in the most easy way. Students can write and add notes to the board. They can even invite up to three fellow students to participate in the brainstorm. 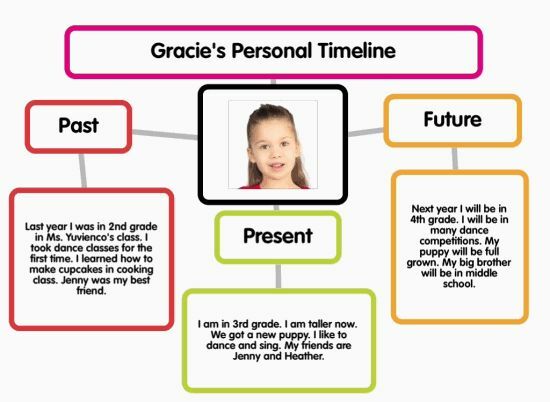 Students can start from scratch, or they can choose one of the 13 background templates. They can even brainstorm about how to put their football players on the field! Whoever has the board open on its computer, tablet or smartphone, can see what’s on it and what everyone is writing. Students can use when collaborating on a teamwork and the teacher can use it to do some live brainstorming on a topic in class. 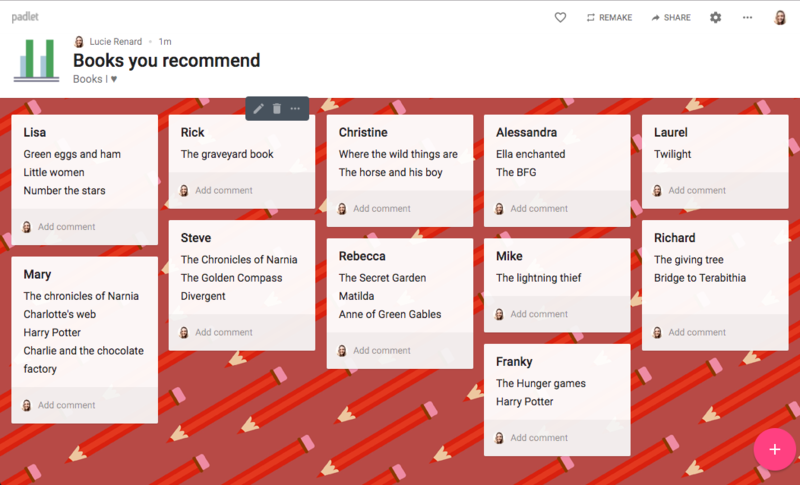 Take a look at all these amazing things you can do with Padlet. Google Docs is just like Word, but with a little (read gigantic) twist. You can work together in the same document at the same time from another device. No more sending files back and forth. No more figuring out which file was the latest. Oh, another great thing for students: every change is saved automatically! Total disasters are not possible in Google Docs. So why is this a brainstorm app? I’ve given Google Docs a place because its a collaboration tool and it’s very easy to use when brainstorming from home with other students over an assignment or a new project. Working together has never been so swift and easy. 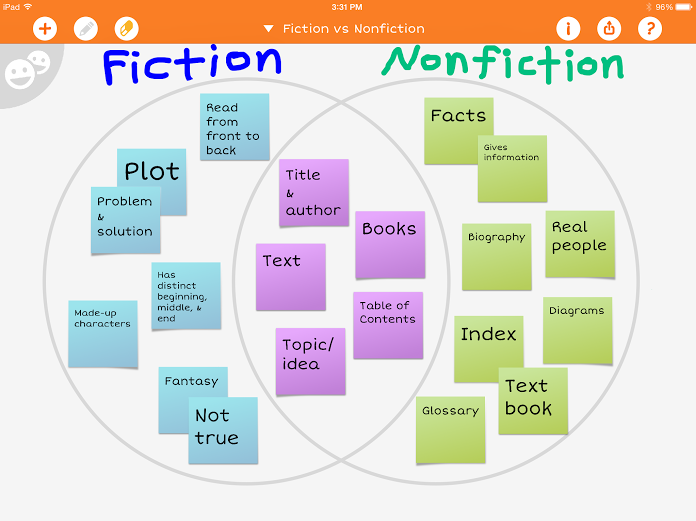 Popplet is perhaps the simplest tool to capture and organize ideas. With a few clicks on your screen you can make “Popplets” (little squares) and add text and images. It’s easy to connect the Popplets, rearrange them, change their colour and even adjust their shape. Trello gives you and your students a view over all the projects, assignments, etc. It’s actually an app for the business world, but I am convinced it can work in education too. Trello lets you create boards with lists. You can name them and you can add different “cards” to the lists. Add documents, links, comments, checklists, etc., to these cards. You can invite your students to the boards with the lists. They can also add cards. Sounds a bit confusing, doesn’t it? Take a look at this video below to see an example. The ability for students to add cards and lists makes brainstorming easy. You can also create boards for teamwork and projects. 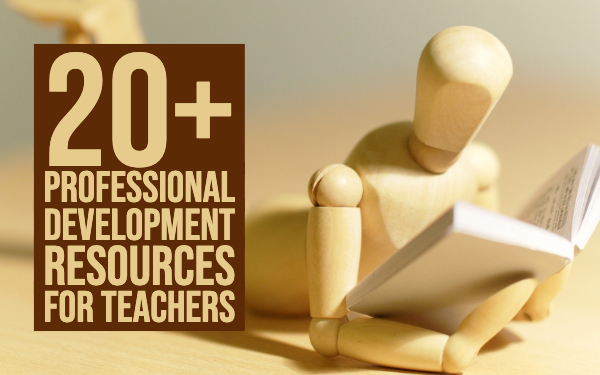 As a teacher, you can monitor your students work via the lists they make and the cards they add. 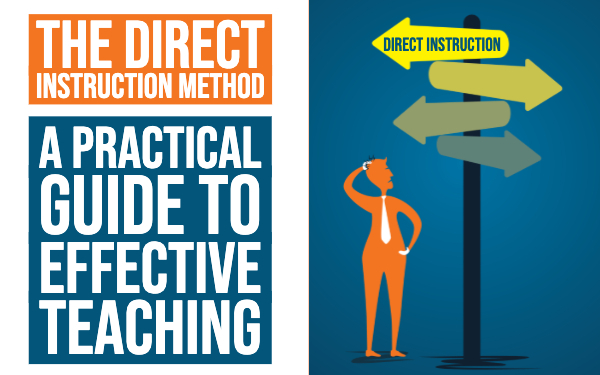 You can also use it for your lesson planning and creative ideas (like in the video). There are so many ways to use Trello in your Classroom, so don’t stick to the video ideas. Use your imagination! RealtimeBoard is an endless virtual whiteboard to brainstorm and write down visual projects. You can add videos from YouTube and Vimeo and Google Docs from your Google Drive to the Whiteboard. Students can collaborate on teamwork on different devices. They can add little memos and comment on them with the mini-chat. The app looks a lot like iBrainstorm. However, it’s more advanced. 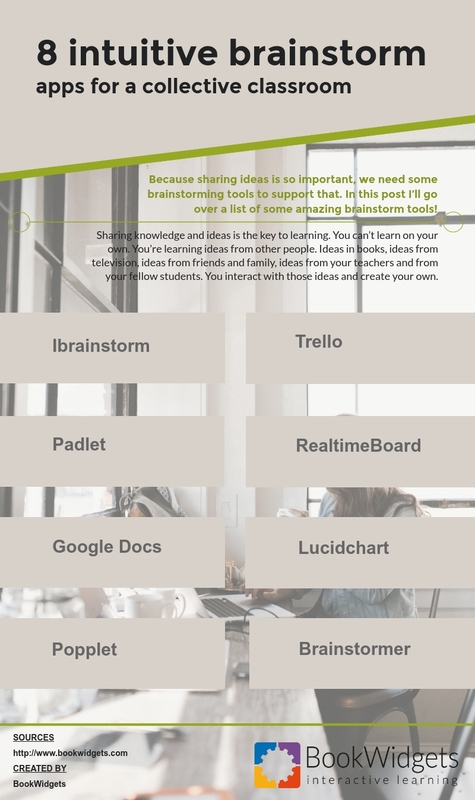 iBrainstorm works better for younger students, RealtimeBoard is perfect for the older ones who need more features. Lucidchart is a web based program which allows you to create plenty of different diagrams like flow charts, mind maps, wire frames and much more. Get started with a number of templates. Lucidchart provides free educational licenses that include all premium features to schools and universities. This app isn’t an app that helps you to collaborate on ideas and gives you a solution to brainstorm easily. This app gives you the idea. 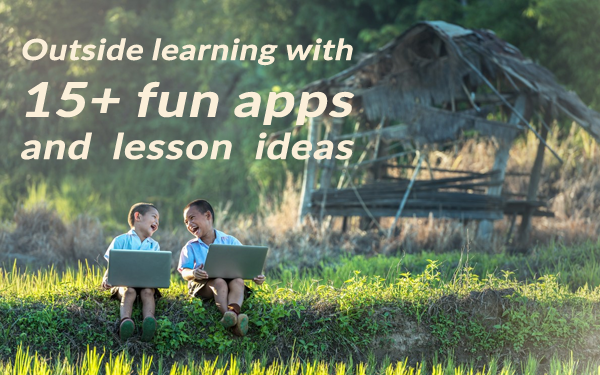 Use Brainstormer in art lessons, and language lessons to give students an idea to start from. The app gives them inspiration to start with. Let them write a story, using the Brainstormer app. I’m very curious what the result will be! 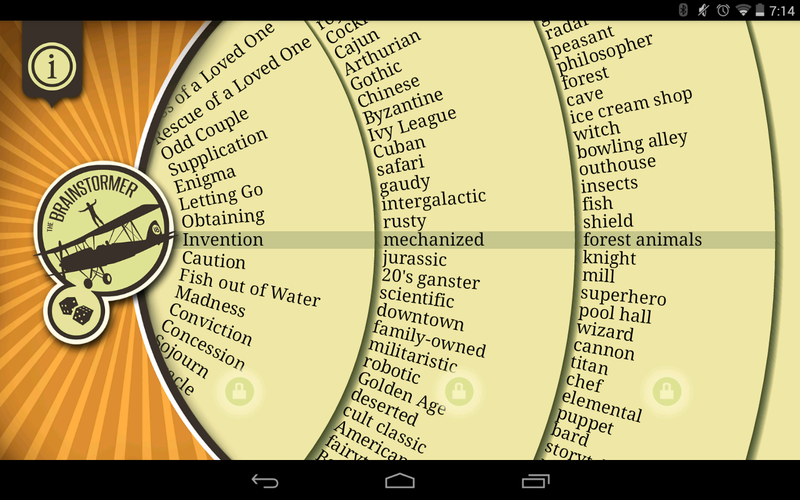 So these were my top picks for brainstorming apps. I hope I’ve inspired you to teach more from your students' point of view and let them do the work. These apps are just right for that! Teamwork is also made easier with these apps. Nothing is stopping you now.